The Dudley No.2 canal has many cast iron bridges spanning its width. Most of these bridges have the same design and were cast at the local Toll End Works. This image was captured on a very cold and frosty morning. It was actually -3 degrees C & the surface of the canal water was totally frozen over. 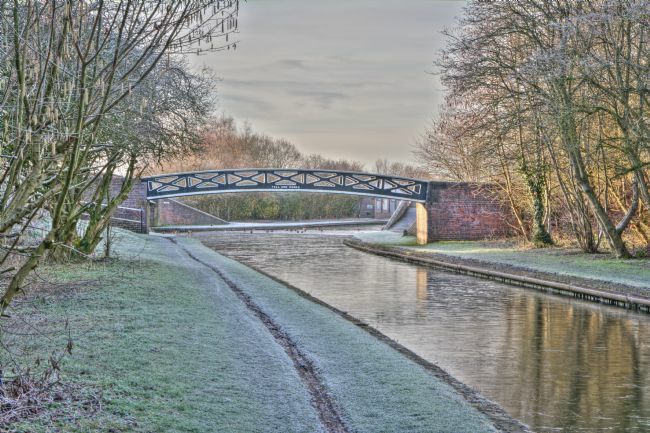 The Toll End Works Canal bridge is primarily manufactured from cast iron and spans a section of the Dudley canal in the West Midlands. 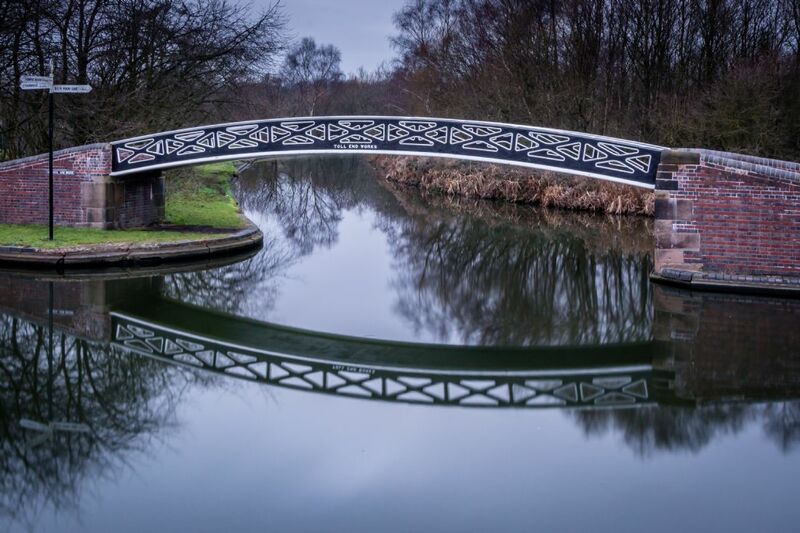 This image shows a beautiful reflection of the bridge on the surface of the water below.